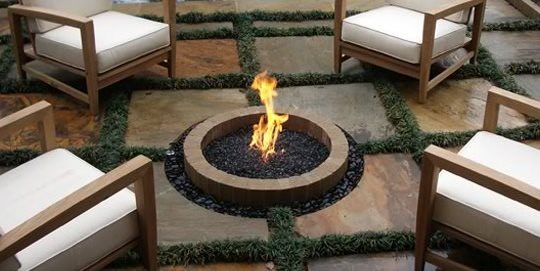 View all fire pit videos. 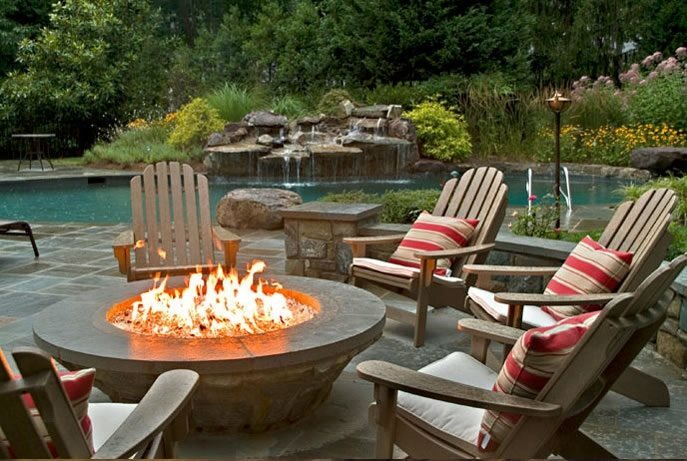 Find the perfect fire pit for your backyard, patio or outdoor space. 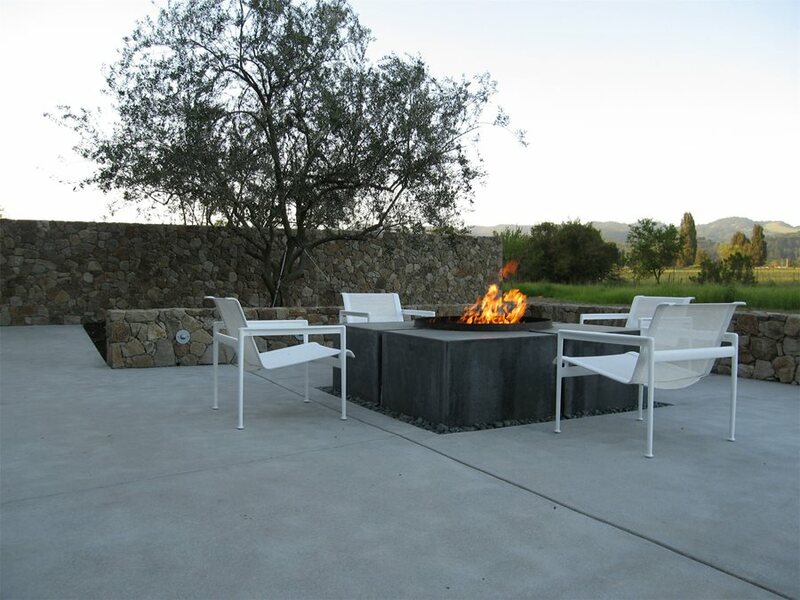 Entertain in style with bonfire pits, gas fire pits, propane fire pits or fire tables. 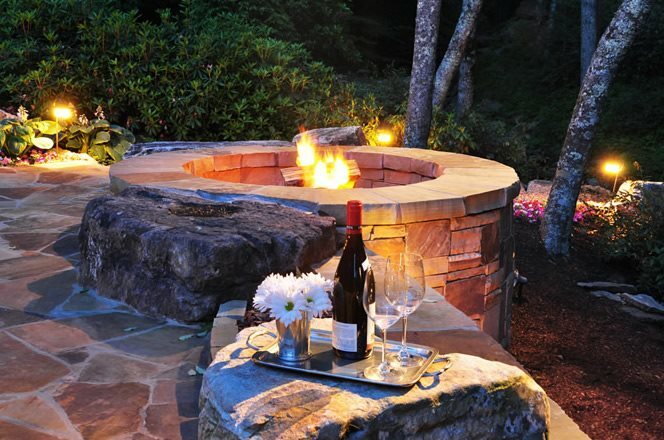 There are many options when it comes to the size, shape and style of a fire pit. 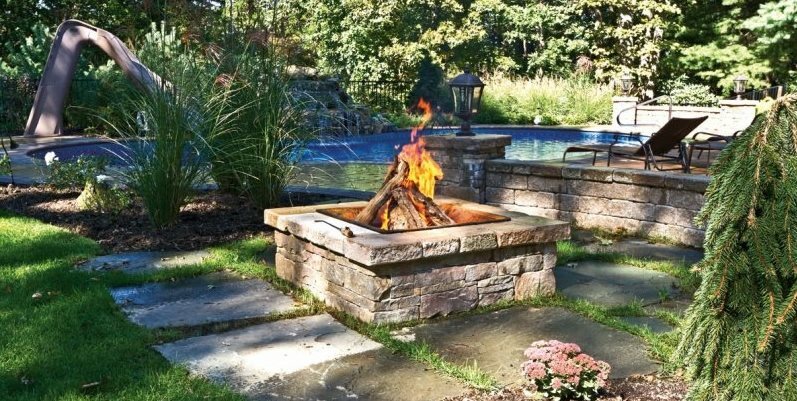 You can have a built-in fire pit installed, or you can purchase a portable one that can be moved about your yard. 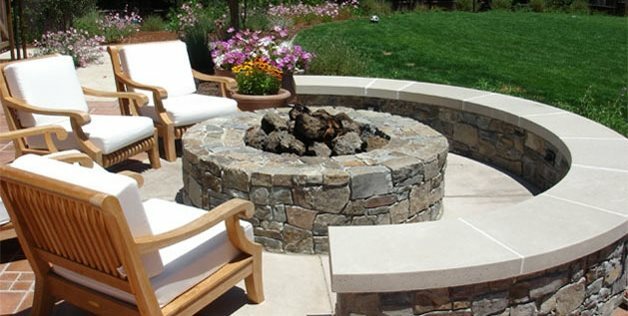 If opting for a built-in fire pit, you'll be able to choose from a variety of outdoor finishing materials including concrete, stone and brick. 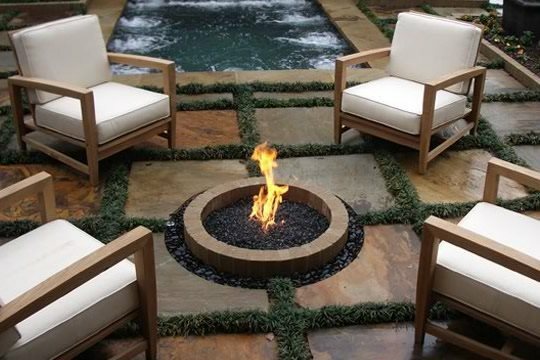 And remember, fire pits don't have to be round-they can be square, L-shaped, triangular, or an entirely custom shape. 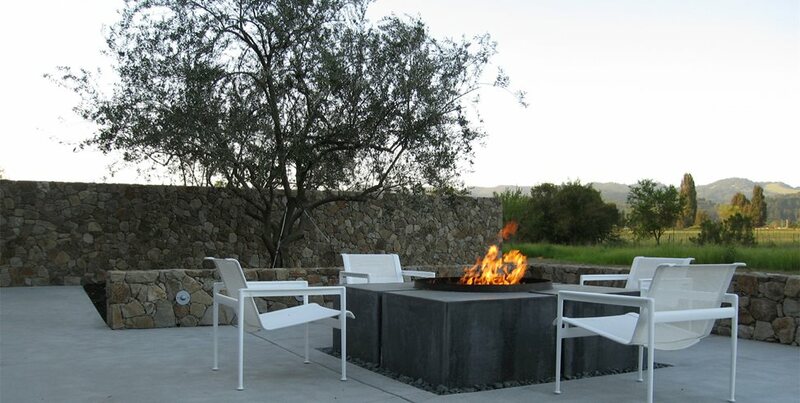 Choosing the best fire pit type for your needs (built-in, prefab or portable). 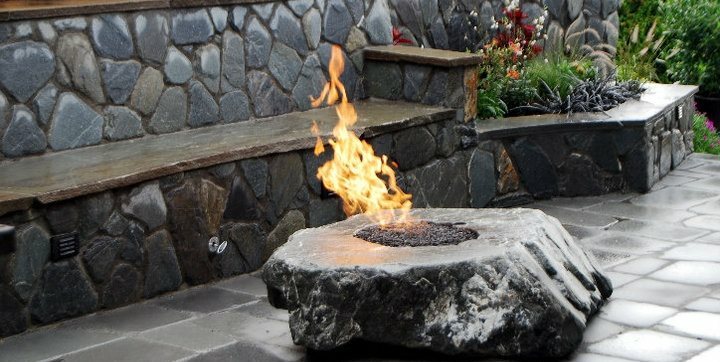 How to size your fire pit based on how much space is available, how many guests you expect to entertain, and the height and arrangement of your outdoor seating. 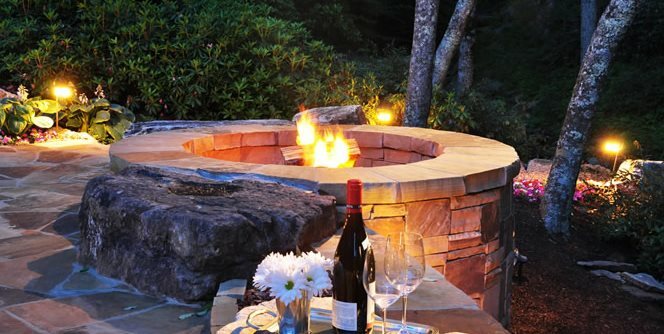 The differences between a fire pit and an outdoor fireplace, along with a chart that can help you evaluate the most suitable choice for your outdoor living space. 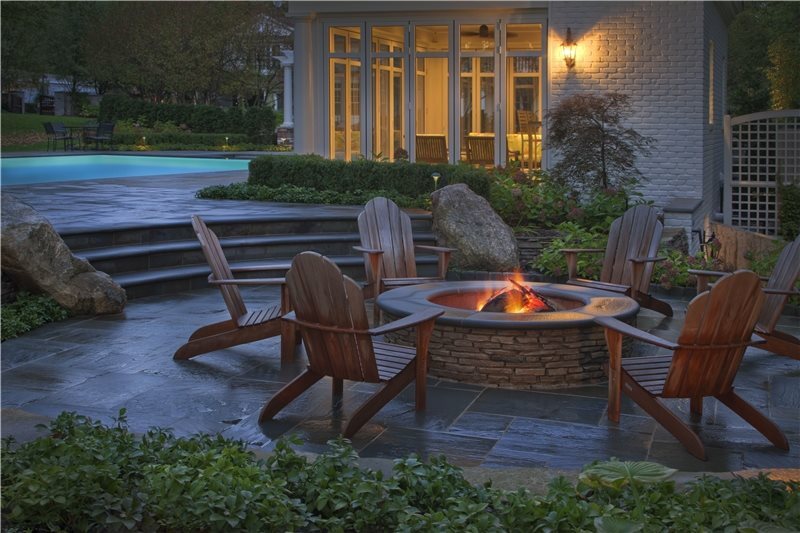 Weighing the pros and cons of the various fire pit fuel options, including gas, propane, wood and ethanol. 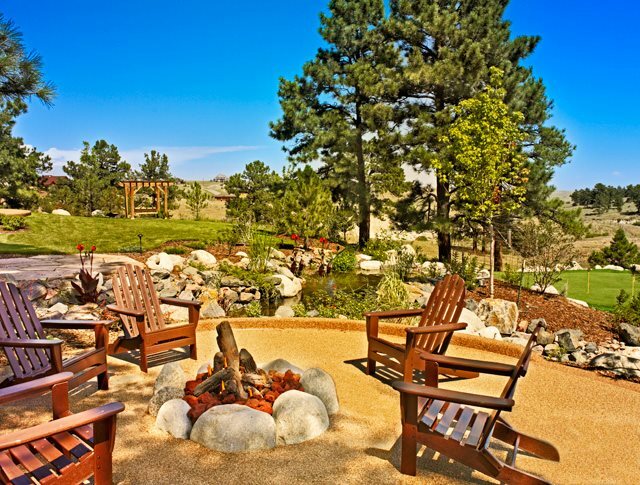 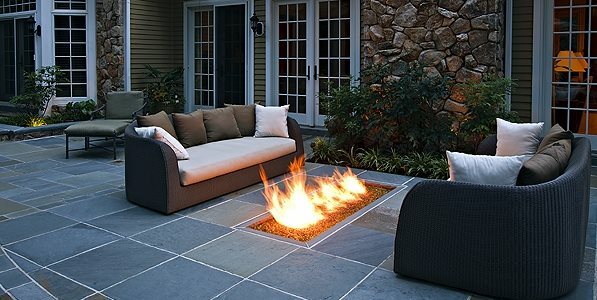 Determining the best location for your fire pit, considering factors such as convenience, space availability and safety. 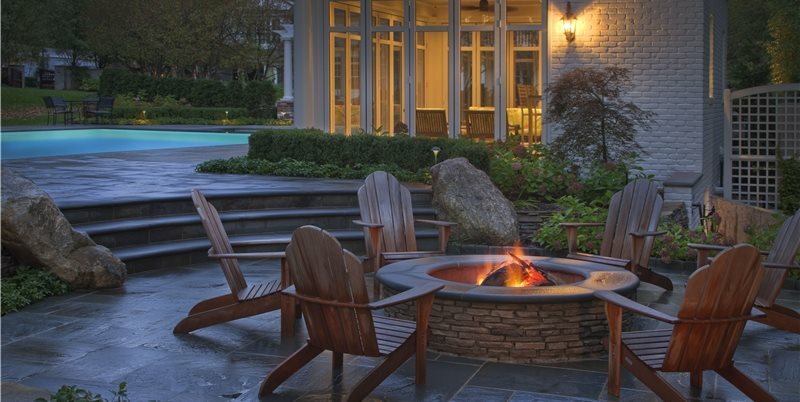 Determining the best size for your fire pit, depending on how many people you plan to accommodate and the room you'll need for outdoor seating and unrestricted traffic flow. 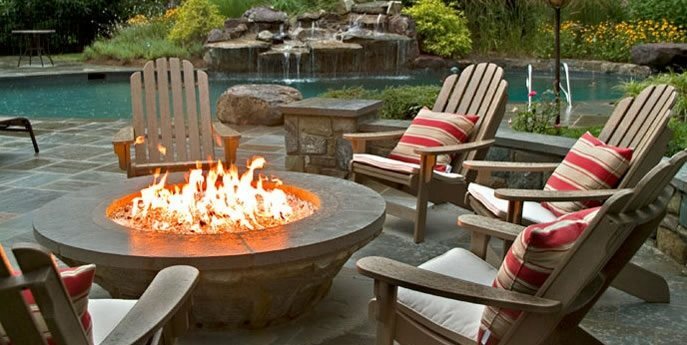 How local building codes may impact where you can locate your fire pit as well as when you can use it and what types of wood you can burn. 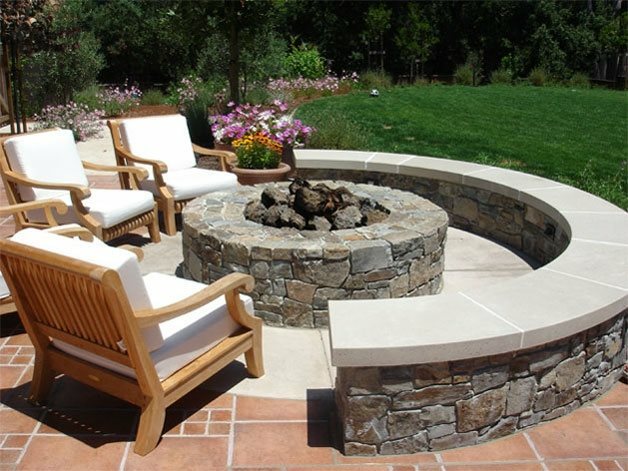 Selecting a facing material for your fire pit that ties in with your patio and the materials on the exterior of your home. 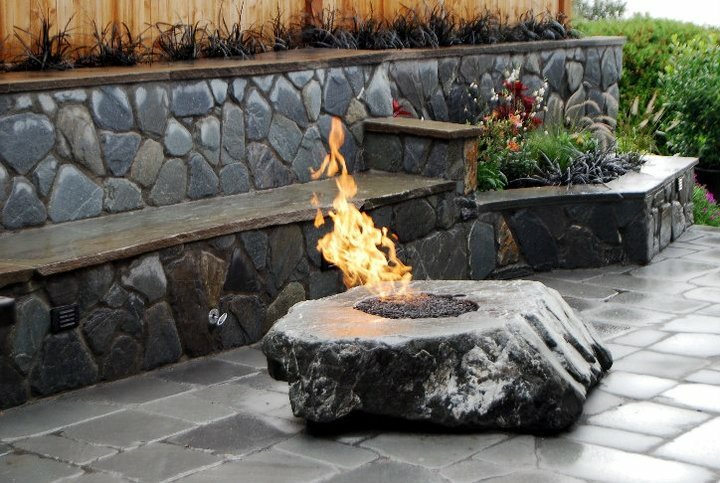 Choosing fire pit fill materials that are both decorative and heat absorbent, such as lava rock, river rock and recycled glass. 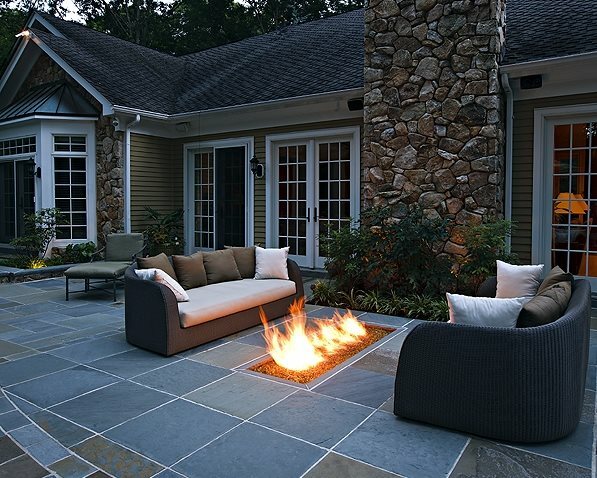 How fuel costs will impact the overall cost of operating your fire pit. 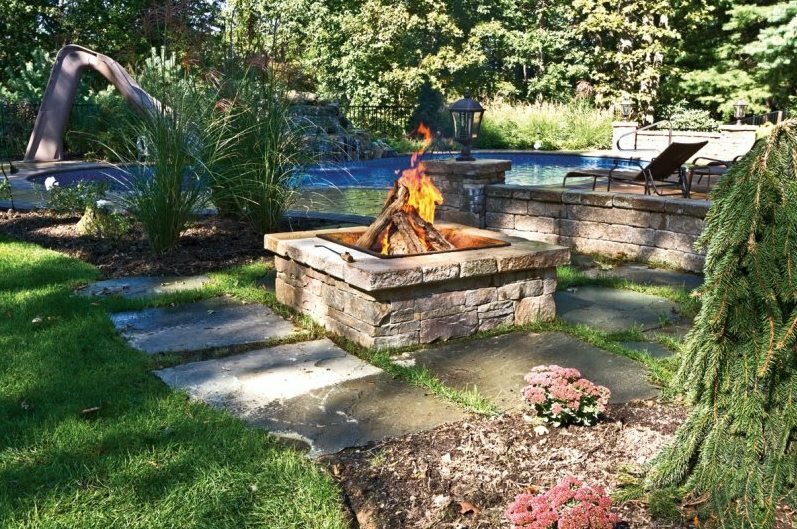 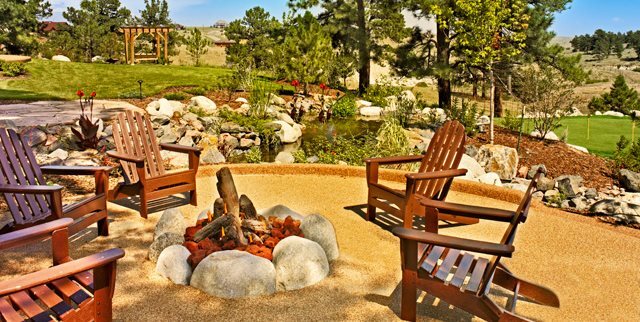 Because of the vast array of fire pit designs available, and the importance of choosing the appropriate size and location for your fire pit, be sure to consult with a landscape designer for advice and guidance.